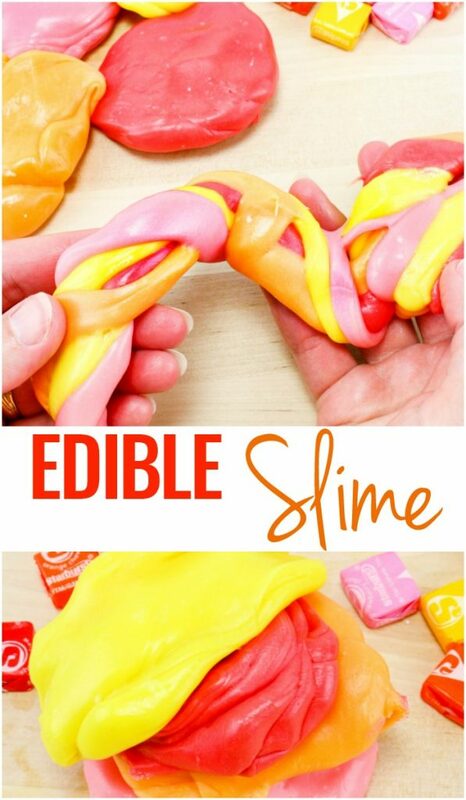 Are you ready to see how easy it is to make edible slime? 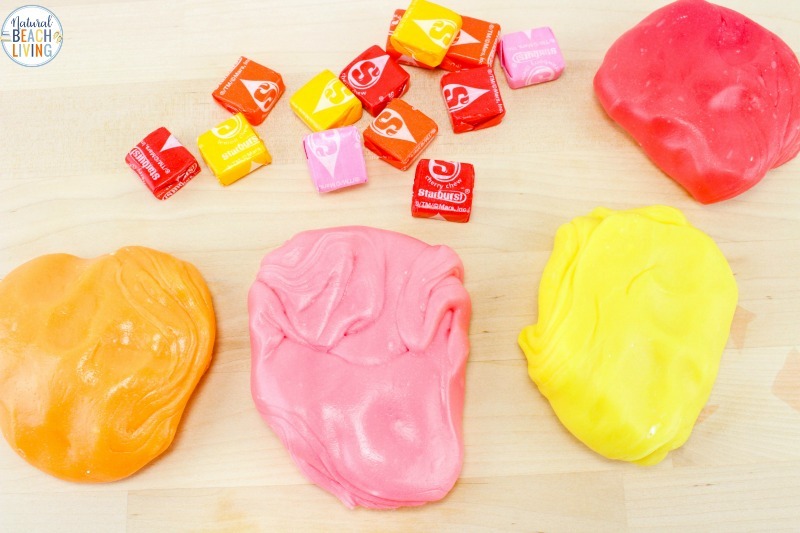 This Starburst Slime Recipe is so much fun, and it’s taste safe, that means your toddlers can play with this edible putty without you having to worry about them getting it in their mouths. 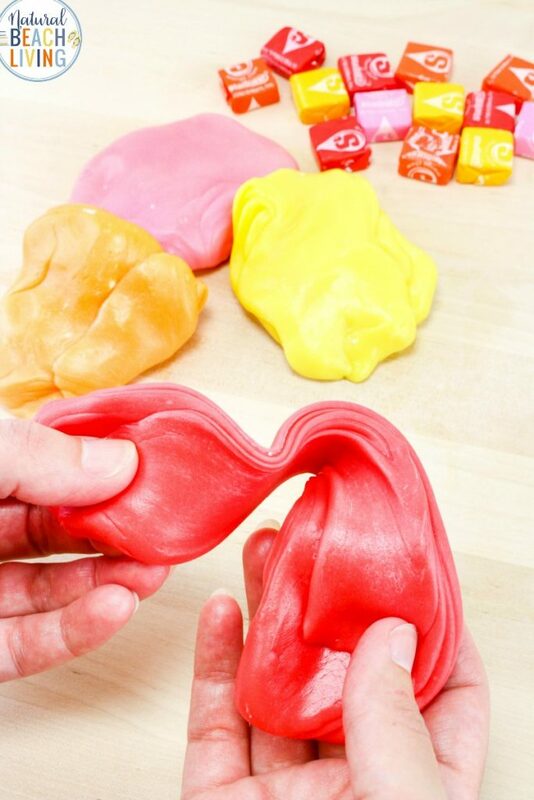 Edible Silly Putty is a total win for a fun sensory play activity. 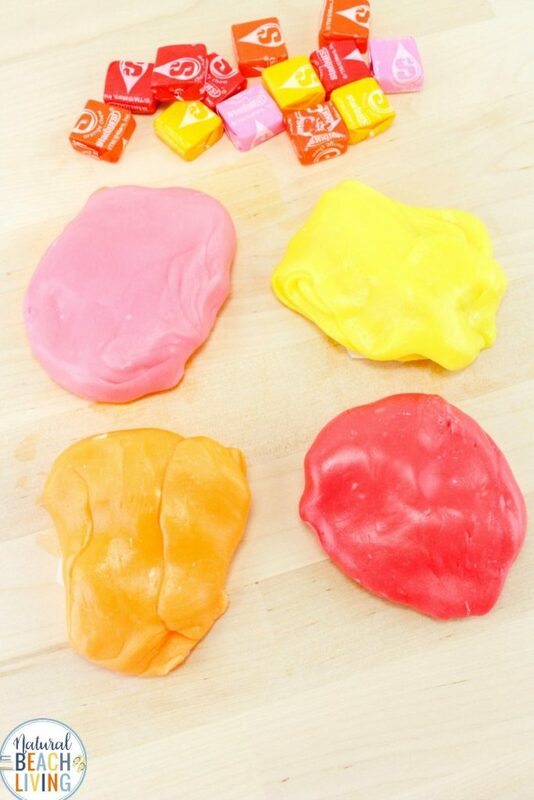 This slime recipe for edible silly putty is a super fun activity for kids that the whole family will enjoy. 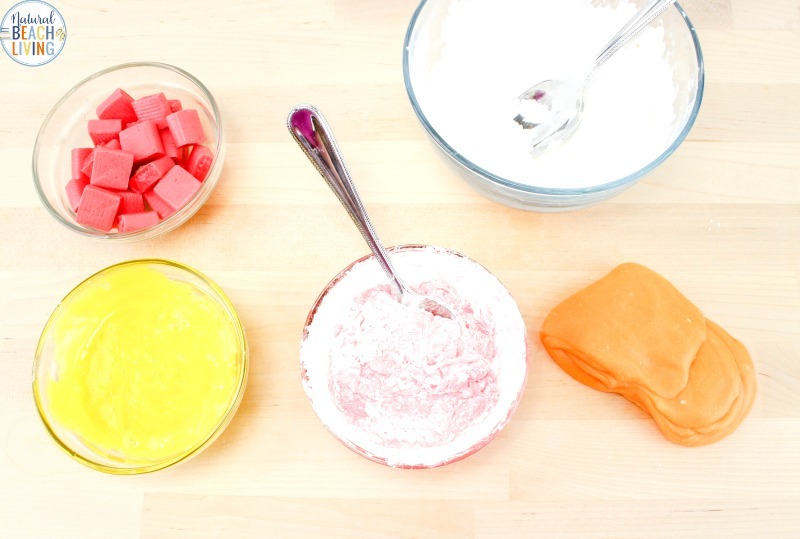 We love making slime and we love making playdough so for this recipe we decided to combine the ideas for the perfect edible putty. This silly putty stretches like slime but is soft and smooth like putty. 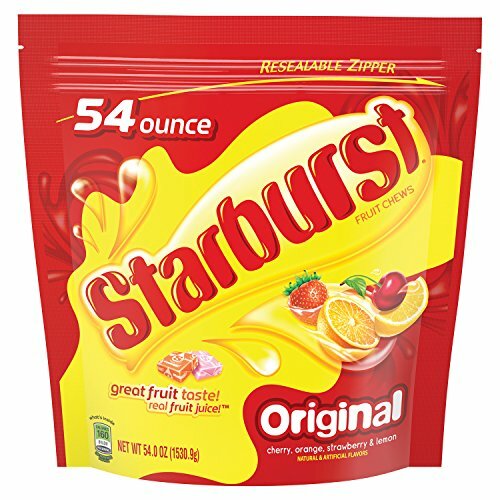 What you will need to make your Starburst Slime is in this picture below. Have Fun! 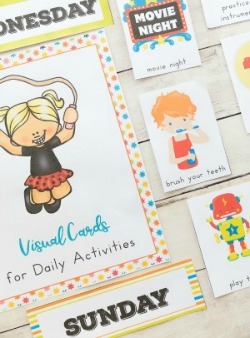 We feel like you get the best of both sensory play ideas with this recipe. 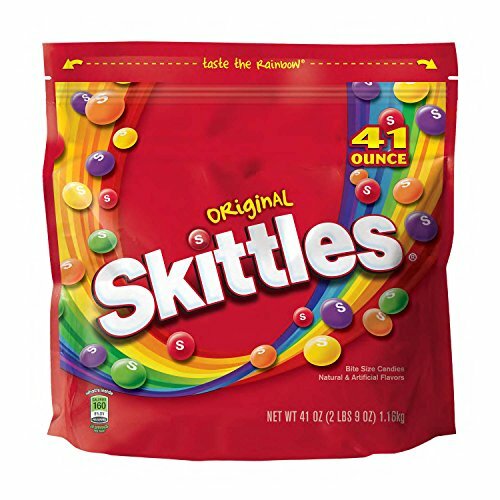 Separate the candy into piles by color. I used original colored Starbursts, so I had red, orange, yellow, and pink. Unwrap 23-25 pieces of each color and put them into 4 individual bowls. Make sure the bowls can go in the microwave. 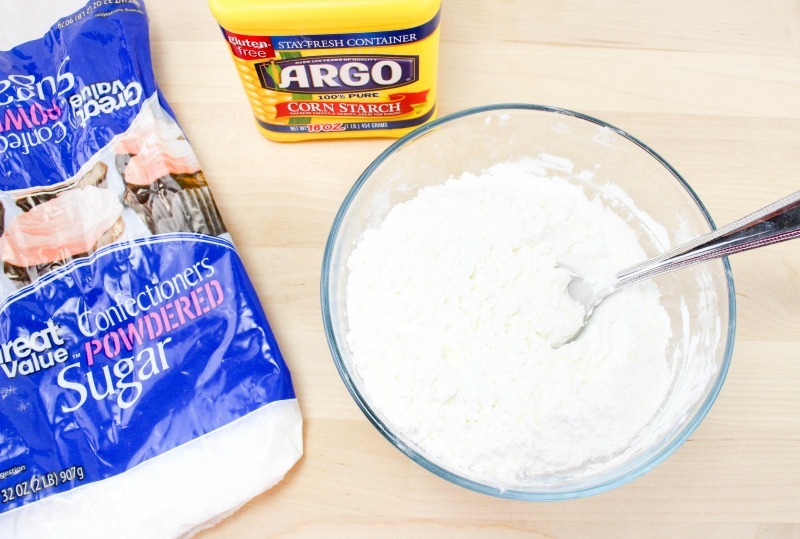 Mix the cornstarch and powdered sugar together in a bowl. 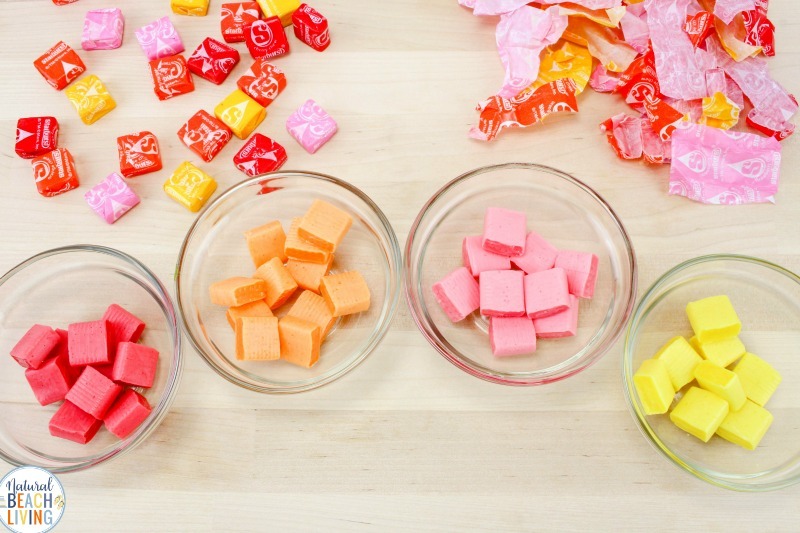 Starting with one of the colored starburst candy, microwave for 30 seconds and stir. Put back in for 30 more seconds and stir again. If it is not completely melted put it back in for a few extra seconds. 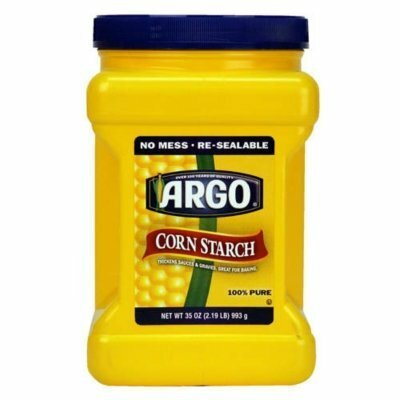 Stir in about 2-3 tablespoons of the cornstarch mixture until it is mostly mixed in. 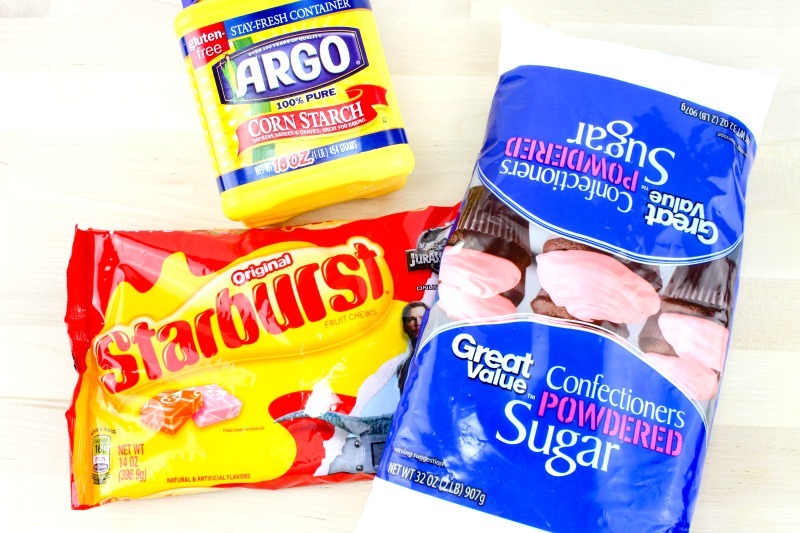 Put a little bit of the cornstarch mixture on the counter and dump the candy mixture on top of it. (At this point, you will have to leave it set on the counter for a few minutes to cool down before you can knead it). 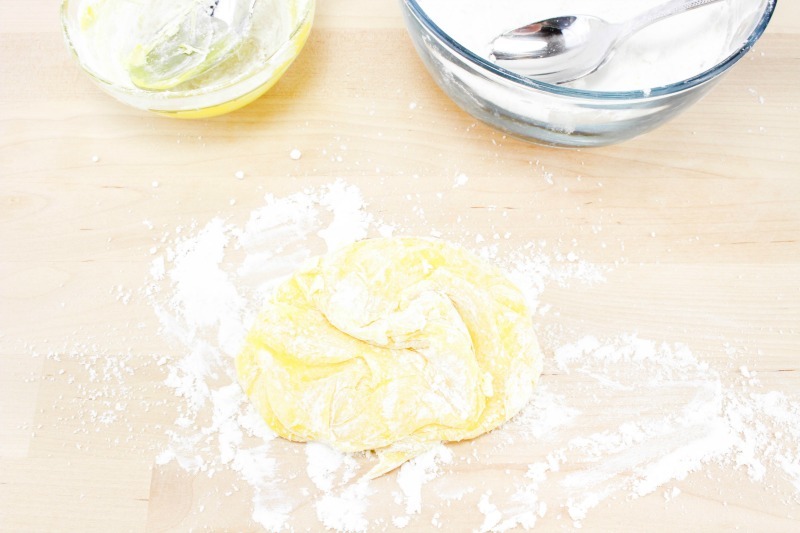 Roll it and knead it a little and stretch it as the cornstarch mixture works into it. 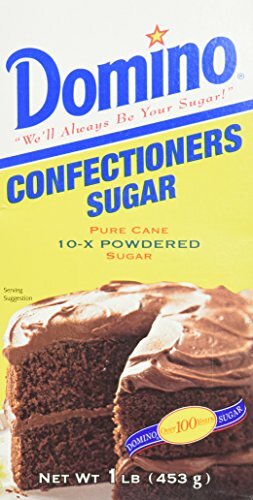 Only add just enough so the candy does not stick to your hands anymore. You want it to be soft a pliable so do not add too much cornstarch/sugar mixture. 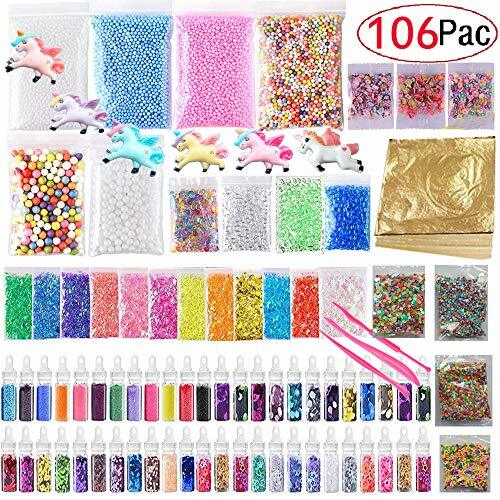 Repeat the above steps with the other colors if you’d like a variety of flavors and scents. 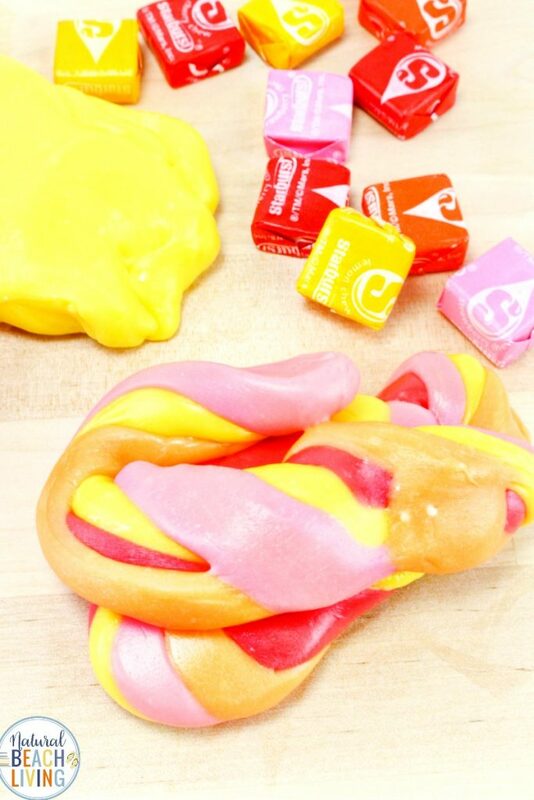 This Starburst Slime is soft and smooth and there is no sticky mess when it’s used. 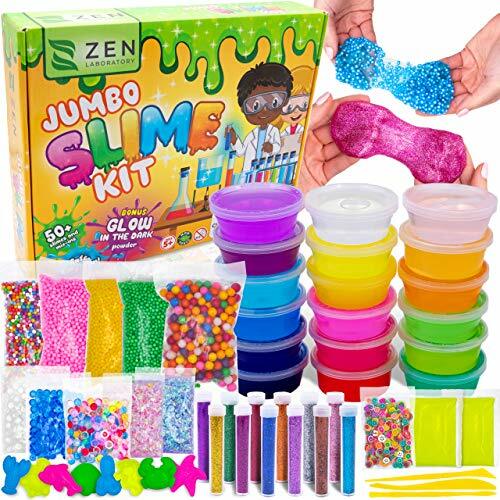 Slime and Therapy Putty can be used to improve hand strengthening and fine motor skills. 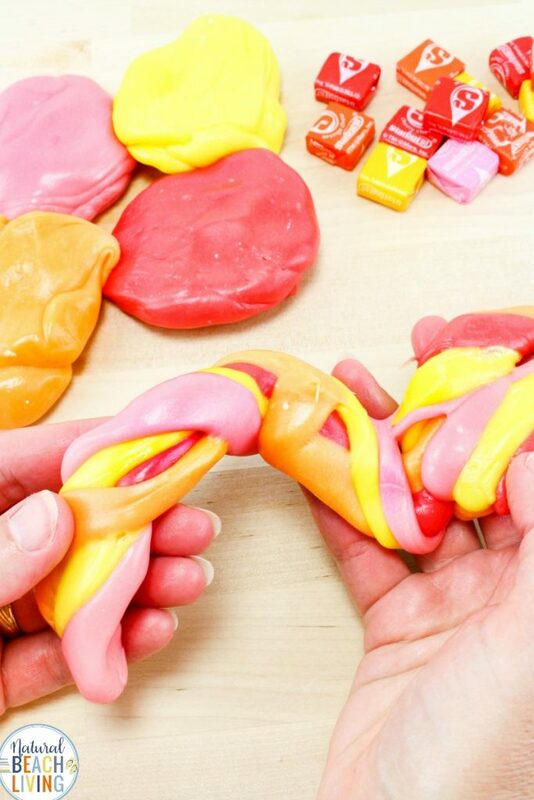 Plus, using silly putty or a stress putty like this reduces stress and anxiety. Slime Putty makes a great fidget toy and even though it’s not a toy it has the same results (only better). 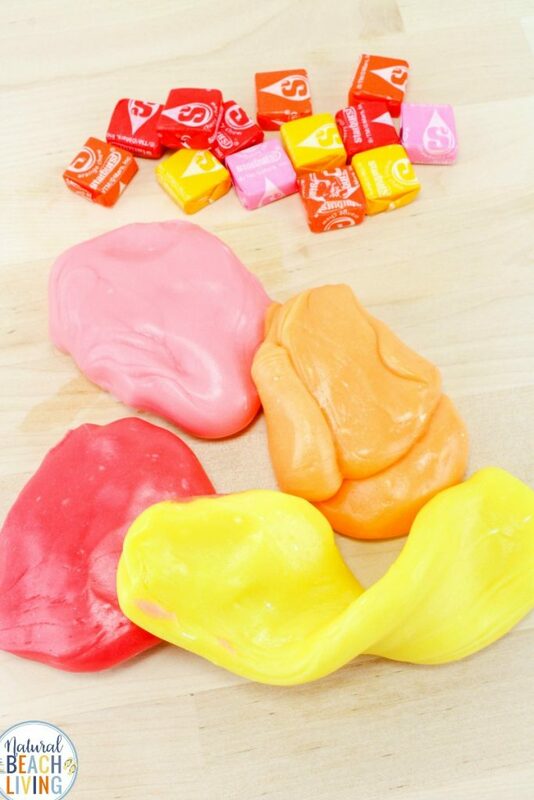 Starburst Slime is an amazing sensory putty for kids and adults. 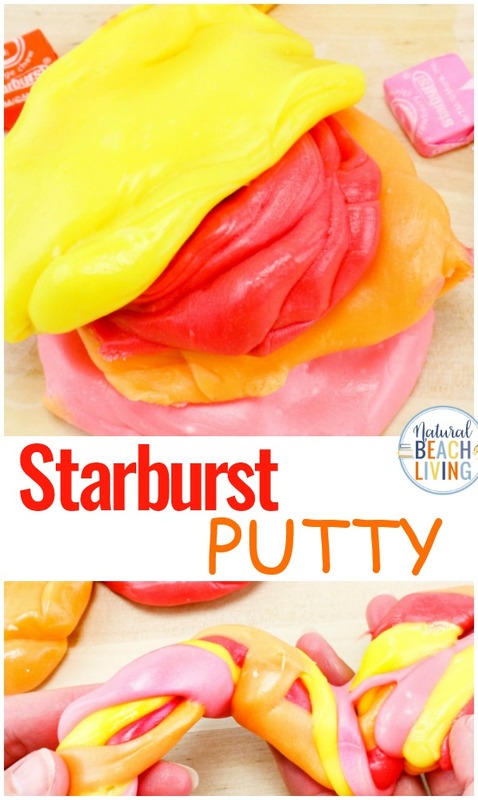 Your kids will have fun playing and eating this putty! 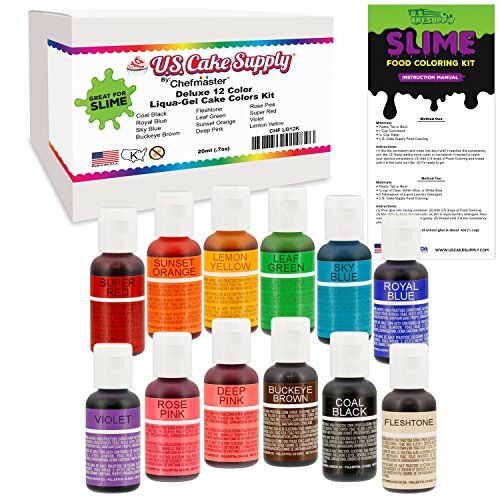 Making homemade slime, silly putty, playdough, and other cool sensory activities has been a passion of ours for years. 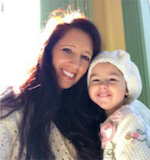 And these edible silly putty and slime recipes are so important especially when you have a sensory seeking child that loves putting everything into their mouth (like our son). 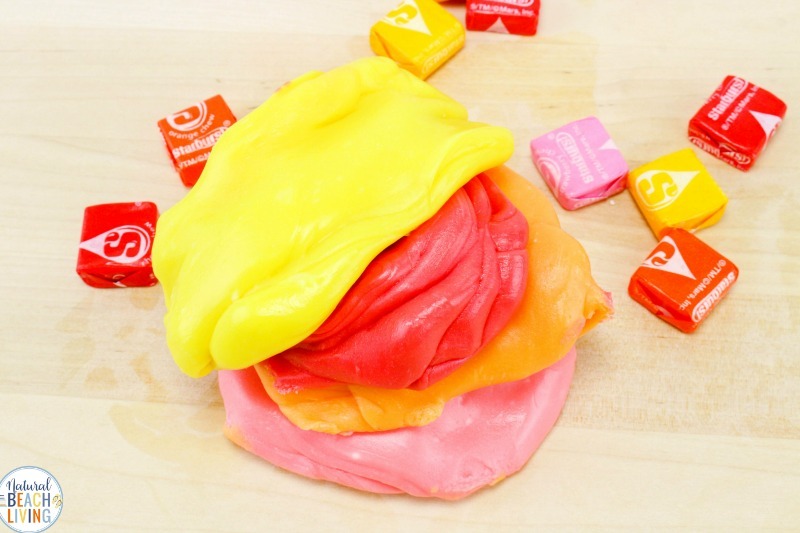 I hope this Starburst slime gives your children everything they need from a stretchy slime to a smooth and sweet sensory activity. 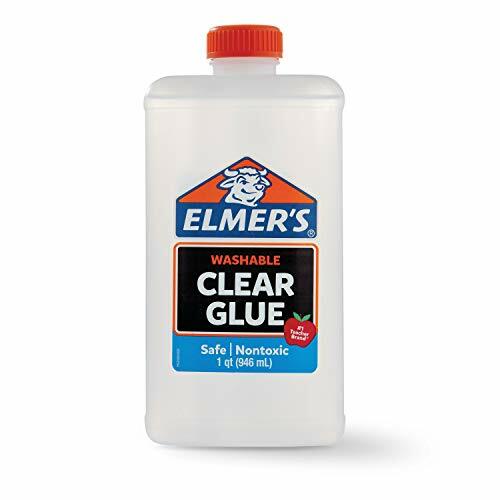 If the putty gets a little hard to stretch after being stored or played with for a long time just put it back into the microwave for 5-10 seconds and it will be soft and easy to play with again! 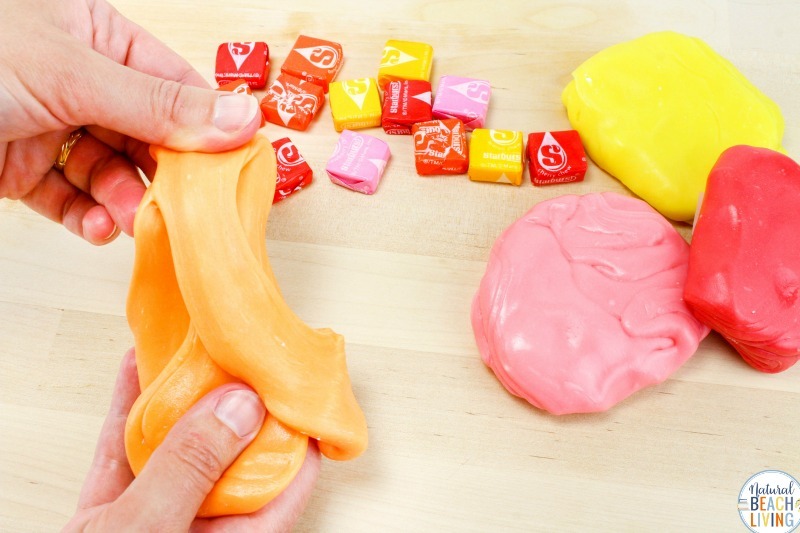 Take your slime to the next level with Edible Stretch Slime made from Starburst Candy!